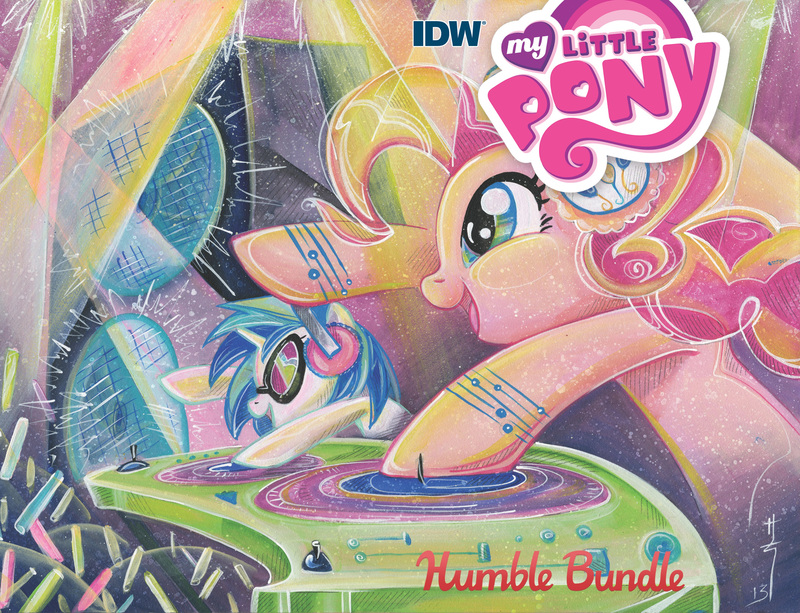 IDW Publishing and Humble Bundle has announced a My Little Pony bundle that includes comics valued at over $300 and even has the entire first bundle at a pay-what-you-want price for readers who are new to the series. The Humble Comics Bundle: My Little Pony 2 presented by IDW will run from now until Wednesday, May 4, 2016 at 11 a.m. Pacific Time. In addition, customers who pay $15 or more will receive all of the above, as well as My Little Pony: Friendship Is Magic, Vol. 8-9; My Little Pony: Friends Forever, Vol. 6; My Little Pony Holiday Special; My Little Pony: Pageants & Ponies; My Little Pony: A Canterlot Wedding; My Little Pony: Equestria Girls Holiday Special; and My Little Pony: Equestria Girls.